I just converted my Virago 250 exhaust from 2-to-1 to 2-to-2. 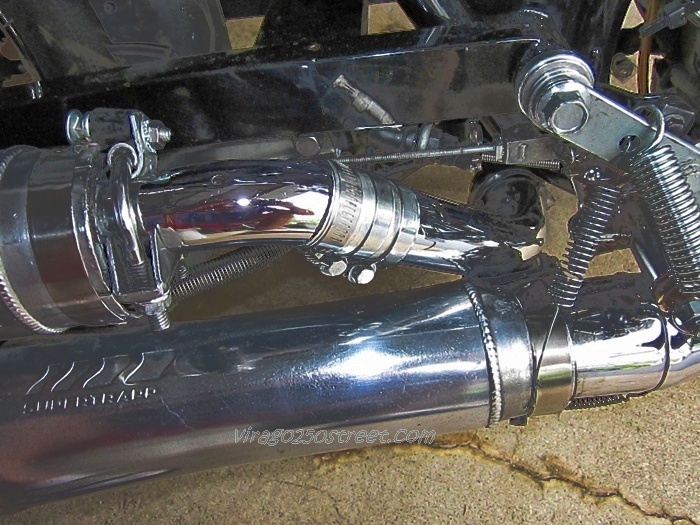 This entry was posted in Motorcycles and tagged Virago 250 2-to-2, Virago 250 exhaust mods, Virago 250 mods, Virago 250 rear fake chrome exhaust pipe, XV250 exhaust mods. Bookmark the permalink.